Samsung has been quite aggressive when it comes to trying various ways to improve smartphone photography, starting with its variable aperture technology. Even though Samsung was the first company to release a smartphone with a variable-aperture mobile lens, Huawei took the limelight away by introducing the triple-camera setup with its P20 Pro. The Mate 20 flagship smartphones are likely to be even better, prompting Samsung to level up its game. The South Korean giant took the challenge hands-on, upping the ante by hinting at a quad-camera setup on its upcoming smartphone that will be unveiled on October 11. A concept of the said phone has now surfaced on social media. The concept envisions Samsung’s first smartphone with a rear triple-camera setup, aligning the sensors vertically. It has been alleged that the phone will be called the Galaxy A9 Star Pro. Previous rumours had pointed towards several colour gradients, with the new renders envisioning a pink and blue variant of the device. It remains to be seen if Samsung will release the phone internationally as the South Korean conglomerate rarely brings its upper tier mid-rangers to the West to prevent competition with its more expensive flagship Galaxy S and Galaxy Note series. Previous rumours had alleged that the Galaxy A9 Star Pro will also have an in-screen fingerprint sensor but the renders seem to suggest that this is not going to happen, although Samsung is said to have tested some sample units with embedded fingerprint scanners earlier. The upcoming phone could sit somewhere between the high-end and mid-range price bracket, bridging the gap between the two. 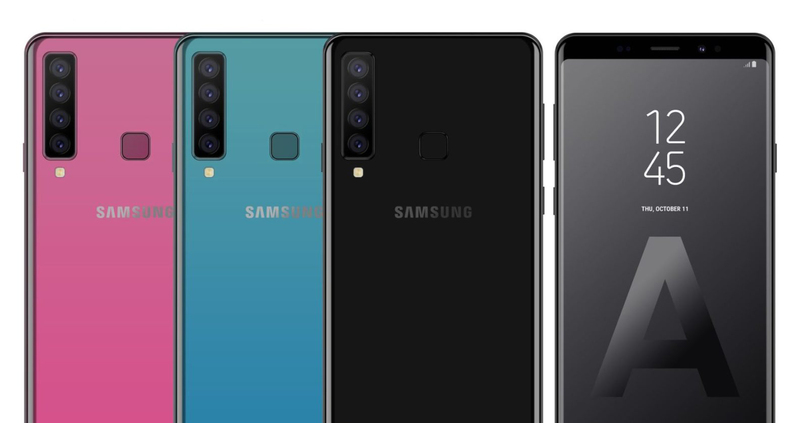 Although the Galaxy A9 Star Pro would be first of the many smartphones to feature a quadruple-camera setup in the near future, smartphone cameras are bound to get even more complicated in the future with even more sensors stacked at the back. Could this quadruple camera setup somehow dethrone the optics performance of Samsung’s high-end lineup? Tell us your thoughts down in the comments. Galaxy S9 Variable Aperture Explained – Plain Gimmick or Something Truly Revolutionary for Smartphone Cameras?